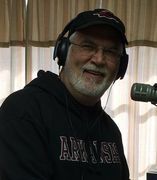 Dave got started in radio at KCCL in Paris in 1974, and began doing Christian radio in 1983. He's our Program Director, Music Director, and Morning Show host. Mike " Michael Dee" Hauser has been with Vision Ministries and Spirit 106.3 for 6 years. He started his career in radio in 1977 at WSLW in White Sulphur Springs, West Virginia and attended Marshall University in Huntington, West Virginia, where he majored in Theatre and minored in Broadcasting. While at Marshall, Michael wrote and produced an hour long comedy program "Off The Wall" on WMUL, and also worked as an actor in professional summer stock theatre at the Greenbrier Valley Theatre, West Virginia's premiere Regional theatre from 1977 to 1979. Michael joined the Air Force in 1980, where he served in Armed Forces Radio and TV and was the recipient of 11 European Broadcasting awards, for Radio and TV Production excellence, during his time in San Vito, Italy and the Azores. Michael has worked at radio stations in West Virginia, Mississippi, Missouri, Oregon, Oklahoma, and Arkansas. Michael is also the Executive Producer and Co-Host of "The Spirit of The Outdoors Radio Show", a God centered outdoor hunting and fishing show, that currently airs on over 50 stations in 14 states. An accomplished singer/songwriter, Michael released his first album " Songs In The Key of Wife" on Fat Rabbit Records in 2001, and released a Gospel CD " What A Friend" on the MyCowSir Music/House of Restoration label in 2013. His songs have been recorded by Pam Camp, Gregory Reed and Royal Wade Kimes. His cowboy gunfighter song "Faster Gun", on Royal Wade Kimes "Striking Matches In The Rain" CD, climbed to # 6 on the British and European Independant Country Charts in 2007. He has performed with the country folk trio Harmony Road, for over 20 years and has opened for numerous country artists, including Juice Newton, T.Graham Brown and Ronnie McDowell. Michael has also worked as Master of Ceremonies, for numerous events, over the years, throughout the River Valley. Michael can be heard afternoons from 4-7 on our sister station Power 89.7 Southen Gospel. He currently resides in the Greenwood/Hackett area, with his lovely wife Jackie. Brant Page Hansen is an American radio personality. He hosted the afternoon show on national Christian radio network Air1 before joining up with the staff from Cure International helping to raise money for surgeries for children. On August 12, 2014, in Hansen's new podcast "The Brant & Sherri Podcast," he announced that he will have a new daily radio show starting in the near future. The Brant & Sherri Podcast debuted on the US iTunes top 100 podcasts list on August 13, 2014. With over 24 years experience including 17 years in a top 5 market, Andrea is part of a team that has received 5 Marconi Awards for excellence in broadcasting from NAB, she has been voted “On Air Personality of the Year” by Program Director.Net and “Radio Person of the Day” by Radio Daily News. She loves traveling and catching a round of golf with her husband Mike on the weekends. Cristy has been with Spirit 106.3 for 12 years off and on. She started talking in front of a microphone at age 11, and hasn't stopped since! Nicole has been a preschool and elementary teacher for the last six years. She has been blessed by the Lord to have this opportunity to work for Spirit 106.3. Although she is new to the radio business, she has been active in the theatre since she was 7 years old. When she is not teaching PE or working at Spirit, she enjoys helping run the drama team at Southpointe Church. She has been married for more than ten years and enjoys spending time with her fur babies and husband.